Sixty years ago, scientists at Bell Labs in New Jersey announced that the world finally had an efficient way to turn sunlight into electricity. On April 25, 1954, Daryl Chapin, electrical engineer, Gerald Pearson, physicist, and chemist Calvin Fuller demonstrated their invention, the first practical solar cell. It was made of silicon — which, by the way, would later become the prime ingredient in computer chips. The following collection of images shows the wide variety of amazing, sometimes weird, and even funny usage of solar cells — whether from inside your pocket or in Earth’s orbit. 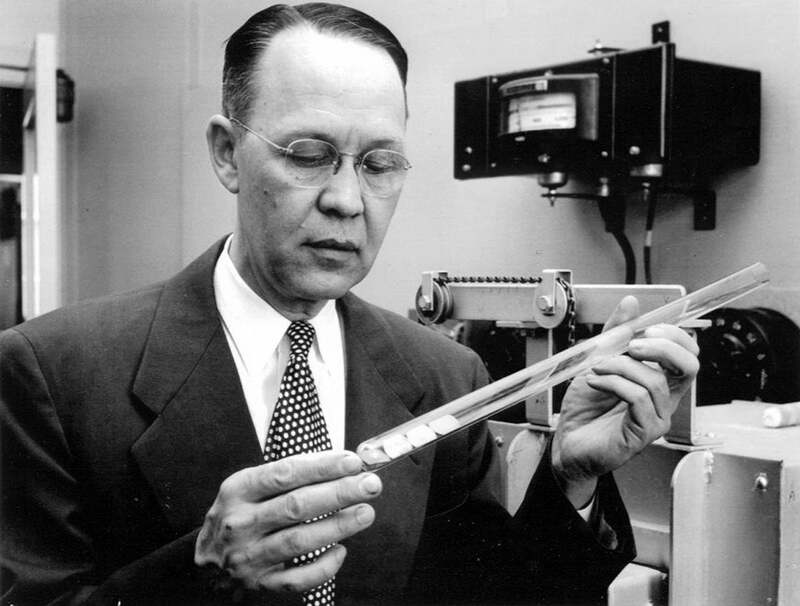 Calvin S. Fuller, physical chemist at Bell Laboratories, experimenting with the first solar cell that could generate significant amounts of electricity. 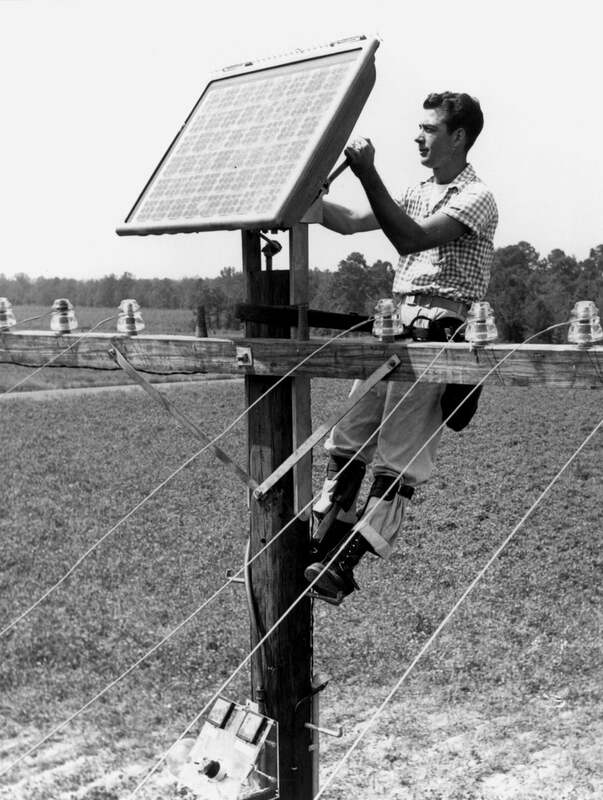 Cable repairman adjusts the Bell Solar Battery to make the first sun-powered telephone call near Americus, Georgia, on October 4, 1955. January 16, 1956: Edward Keonjian holds a pocket-size solar-powered radio that operates continuously in daylight and run 500 hours in darkness without recharging. It was built by Keonjian and James O’ Hearn, both engineers at GE. 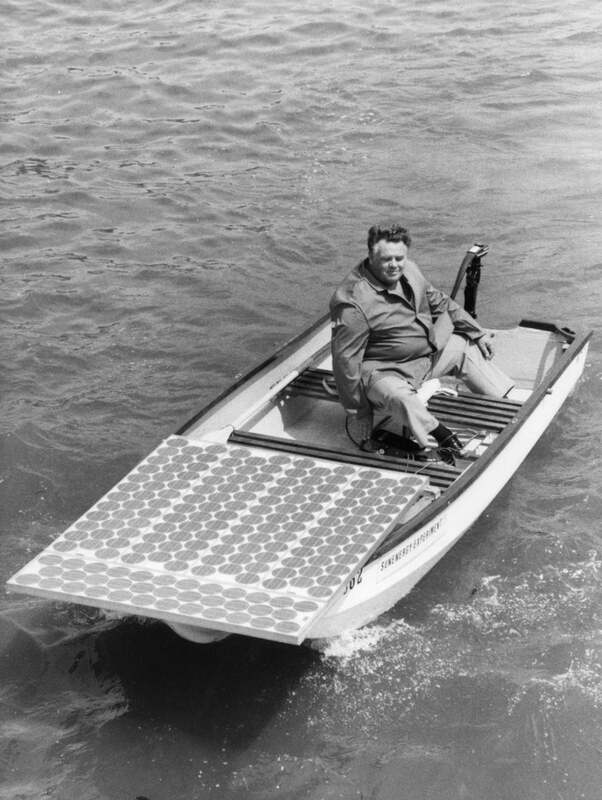 1959: Dr. Max Shick demonstrates the solar panels that he has fitted to the front of his boat. 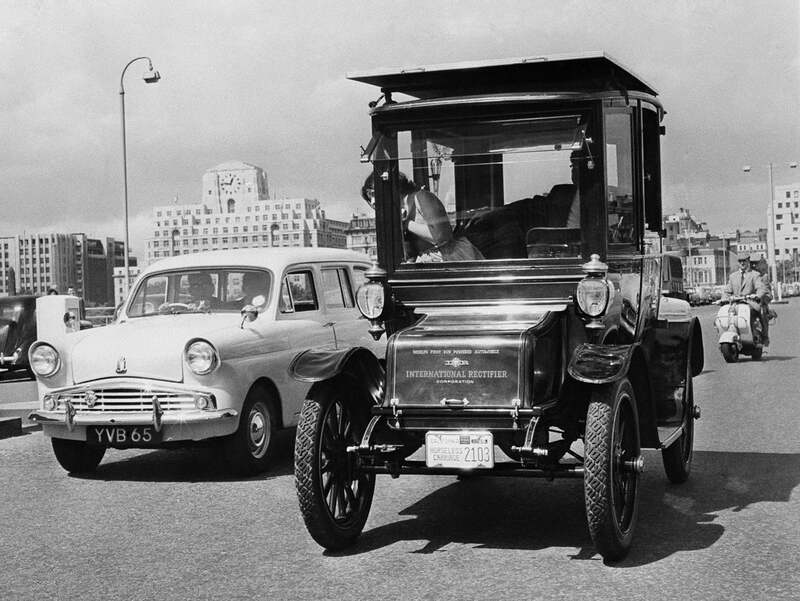 A sun-powered car, claimed to be the world’s first, trundles over London’s Waterloo Bridge on August 12, 1960. Mounted on top of the 1912 Baker electric is a 26-square-foot panel of solar cells that charge up the car’s 72-volt battery system. 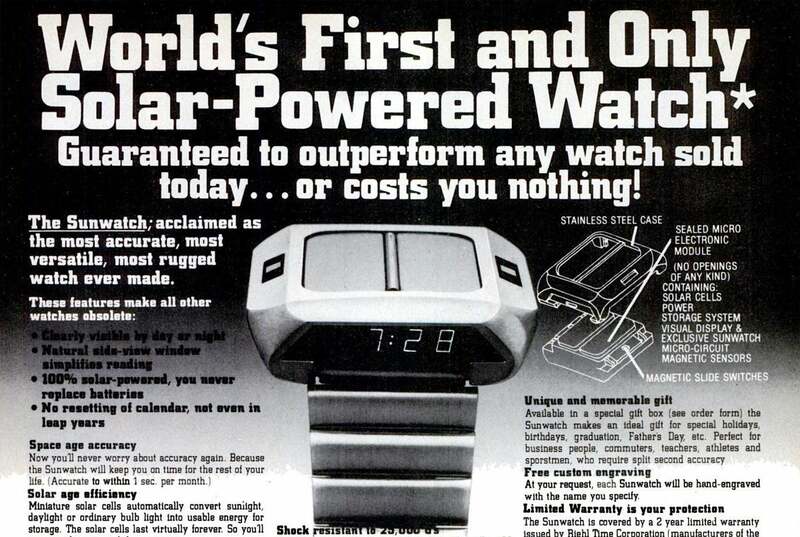 Synchronar 2100, the first Solar watch ever, was first produced in 1968 — in this ad, it’s presented by astronaut Gordon Cooper. In 1997, the Teal Photon, one of the first solar powered calculators, was introduced. 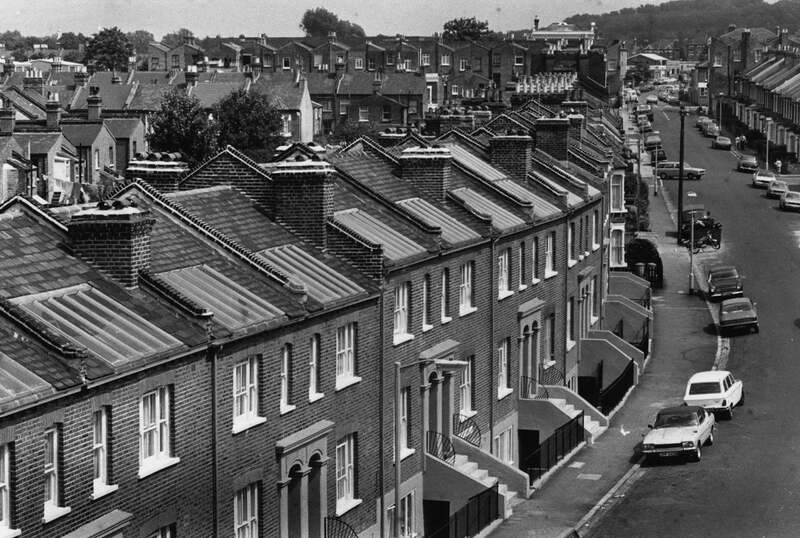 1979: Solar panels fitted to the roofs of a row of terraced houses. 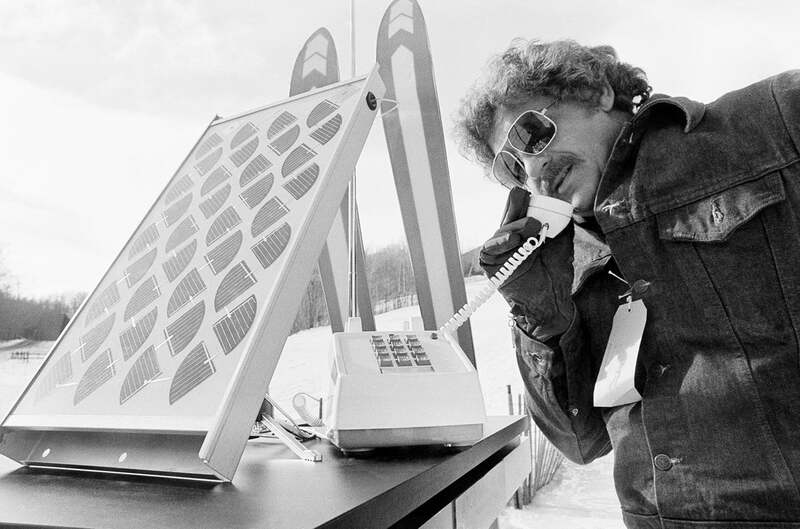 A solar-powered phone call from the slopes of Whiteface Mountain, at the site of the 1980 Winter Olympics in Lake Placid, New York. 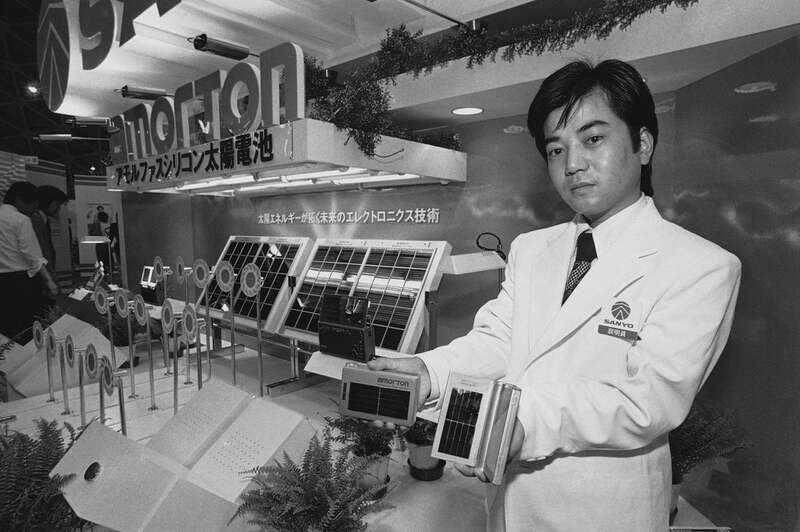 Solar-powered Sanyo radios on show in Tokyo, Japan on October 15, 1980. 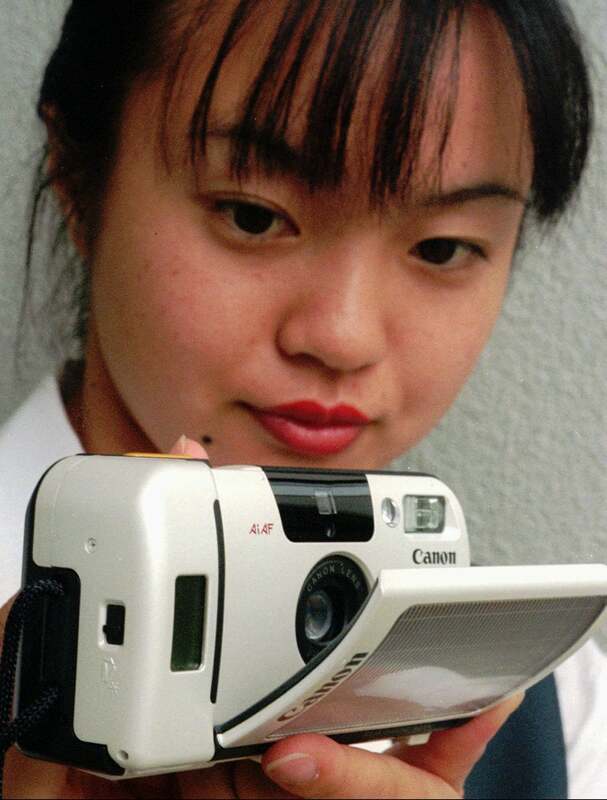 1995: Canon’s Autoboy SE (solar energy), the world’s first solar-powered fully automatic camera. 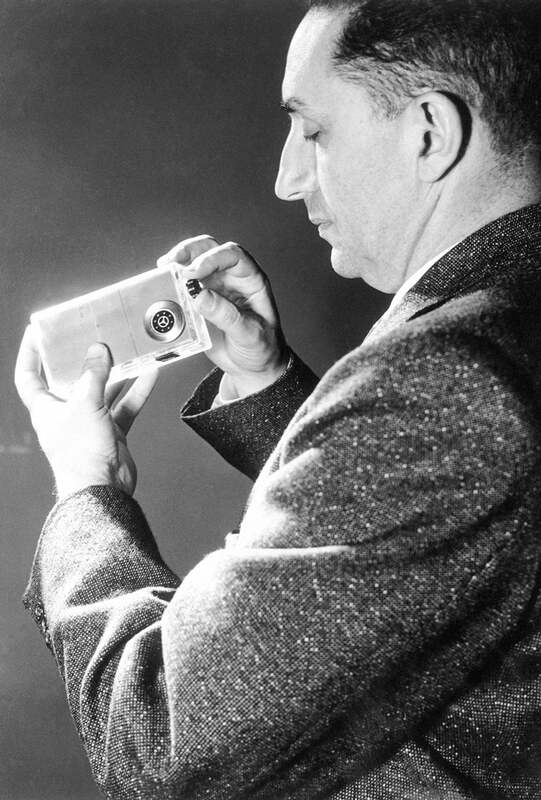 The 35mm camera, when fully charged, had enough energy to expose six to eight rolls of film. 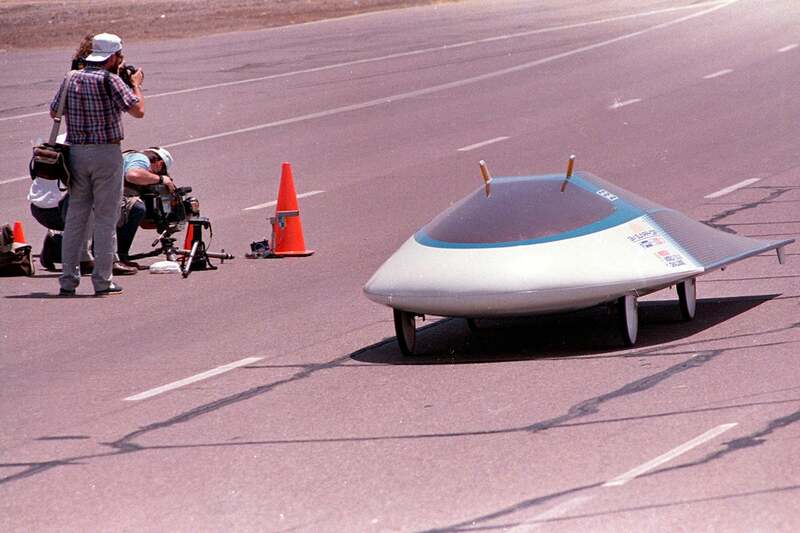 June 16, 1988: SunRaycer by General Motors set a new world land speed record for a vehicle powered only by the sun, reaching a top speed of 48.712 miles per hour. 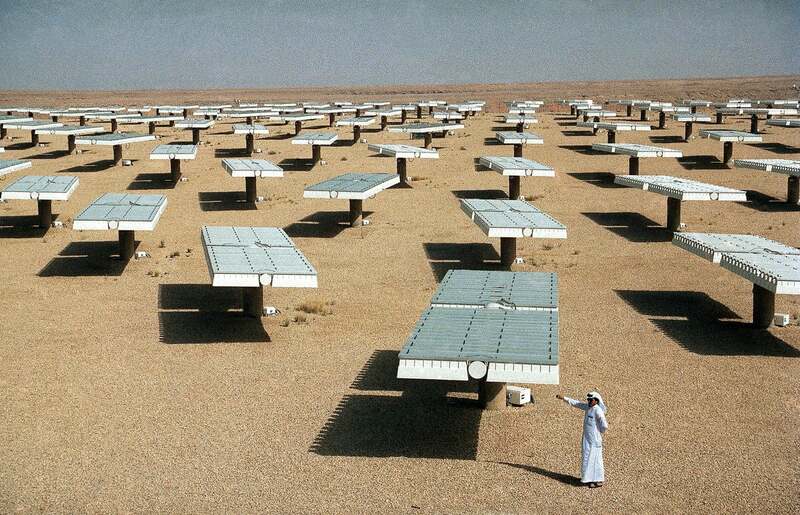 Saudi Arabia’s “solar village” had a sophisticated solar laboratory and 160 photovoltaic solar generators, each containing 251 solar cells. In 1989, it was the largest facility of its kind in the world — and one of only 10 in existence. 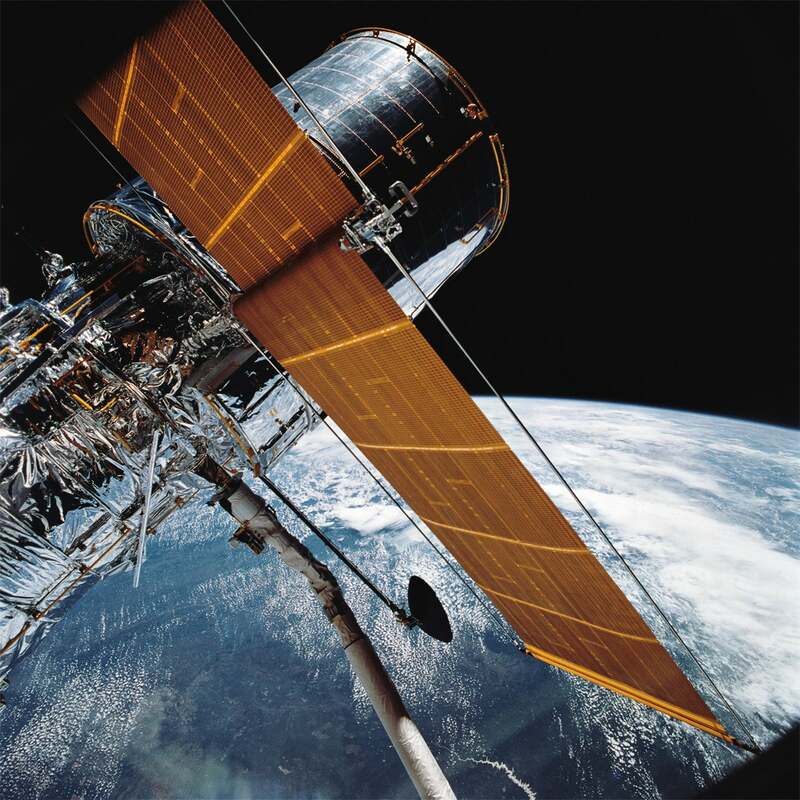 In this April 25, 1990 photograph, most of the Hubble Space Telescope can be seen as it’s suspended in space by Discovery’s Remote Manipulator System (RMS), following the deployment of part of its solar panels and antennae. 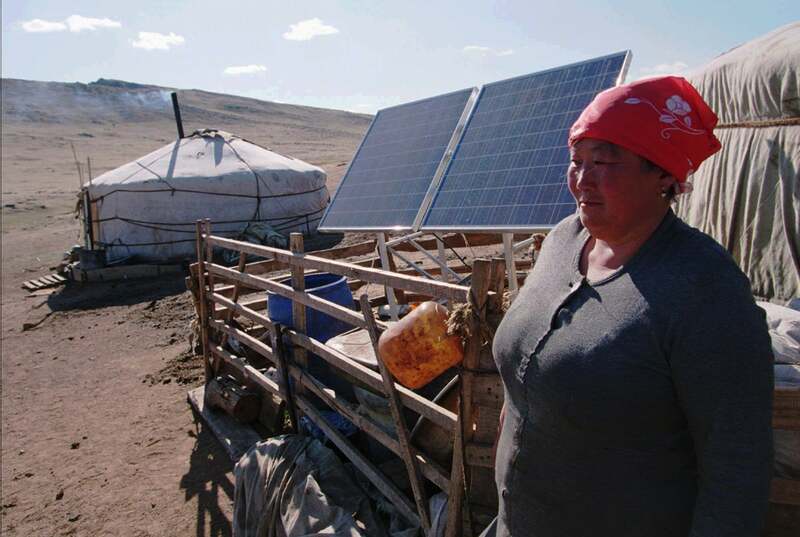 1997: A Mongolian nomad stands beside two solar panels that power lighting and a television inside her tent, 62 miles south of Ulan Bator. 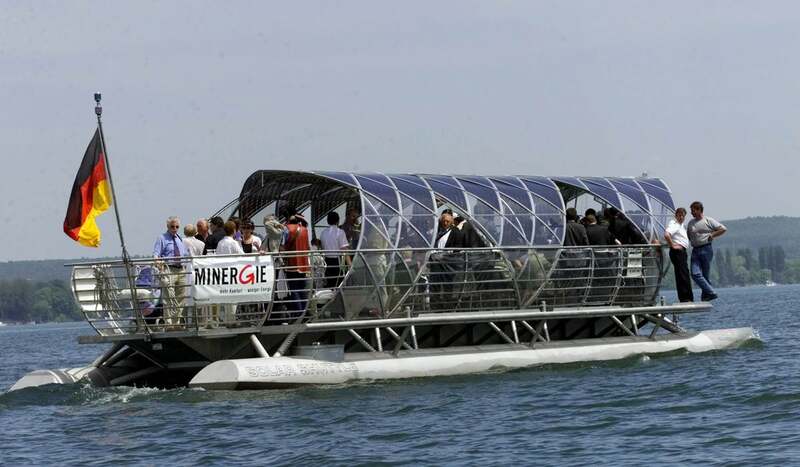 Helio, the first international solar shuttle, on Lake Constance, Germany, 2000. 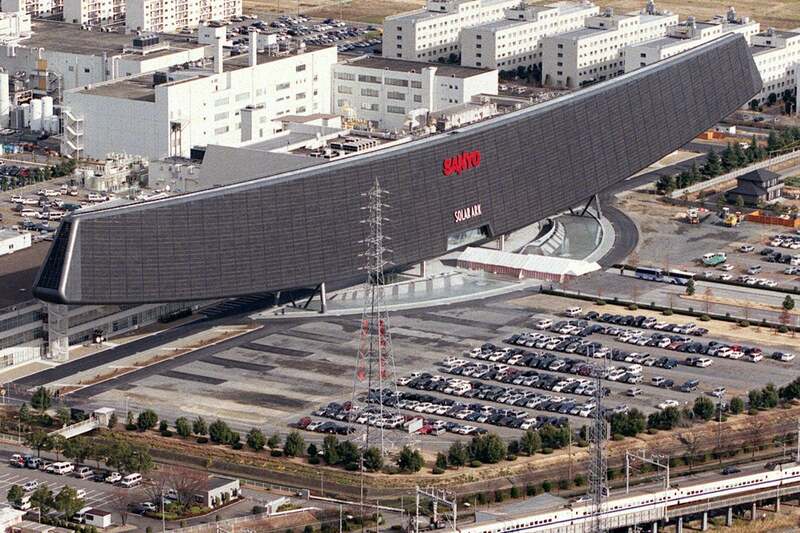 This ship-shaped, 1,033-foot long solar power generator, equipped with 5,000 solar cell panels by Sanyo Electric Co., was completed in the village of Anpachi, Japan, in 2001. 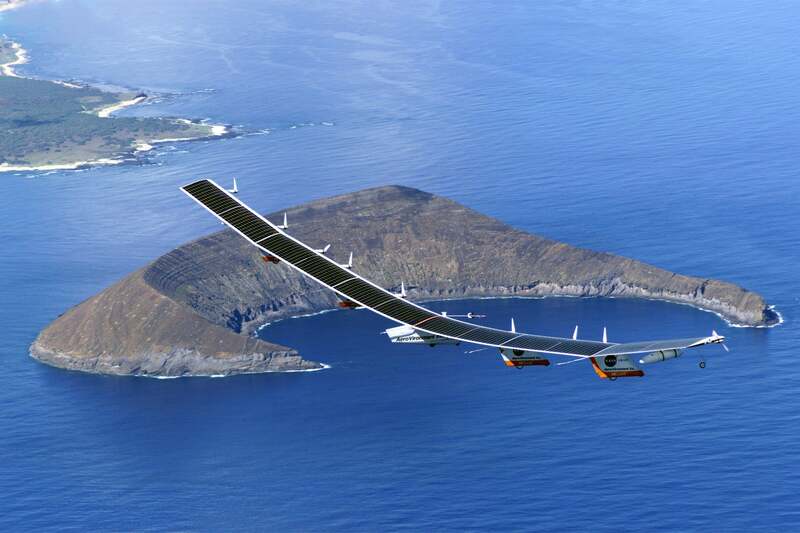 NASA’s solar-electric Helios Prototype flying wing soars off the coast of Kaua’i, Hawaii, on June 7, 2003. 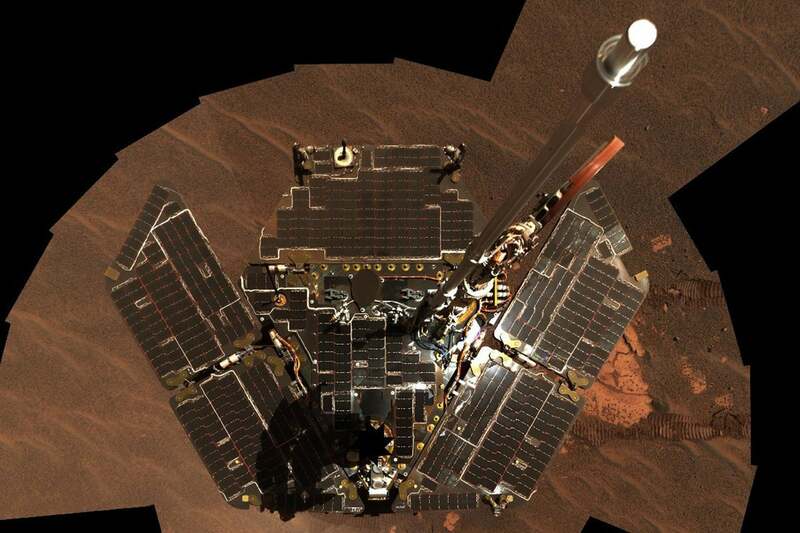 Mars Exploration Rover Opportunity’s composite selfie shows the rover’s solar panels. The images were taken on December 19 and 20, in 2004. 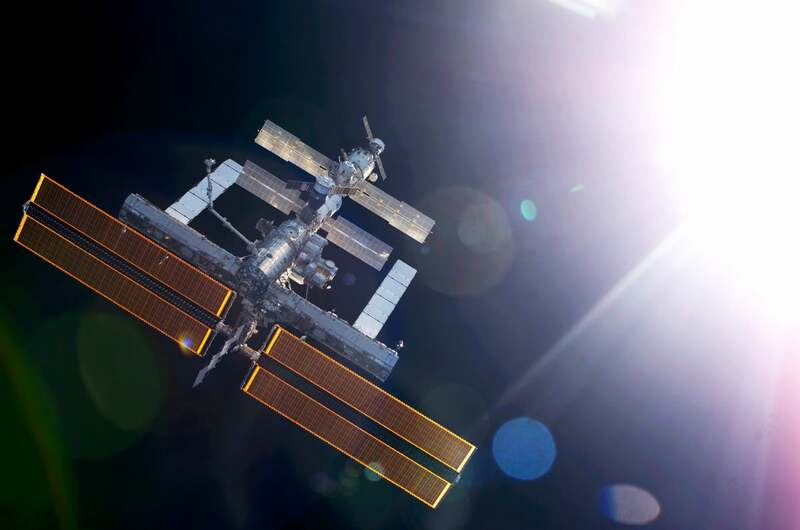 The International Space Station on August 6, 2005. 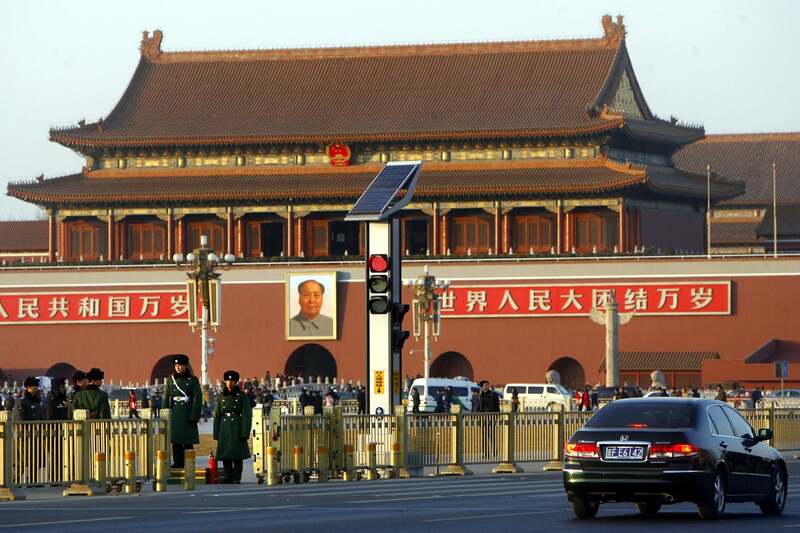 A solar-powered traffic light on Tiananmen Square, 2007, Beijing, China. Lingerie maker Triumph’s new “Photovoltaic-Powered Bra,” at Tokyo Ryutsu Center on May 14, 2008 in Tokyo, Japan. 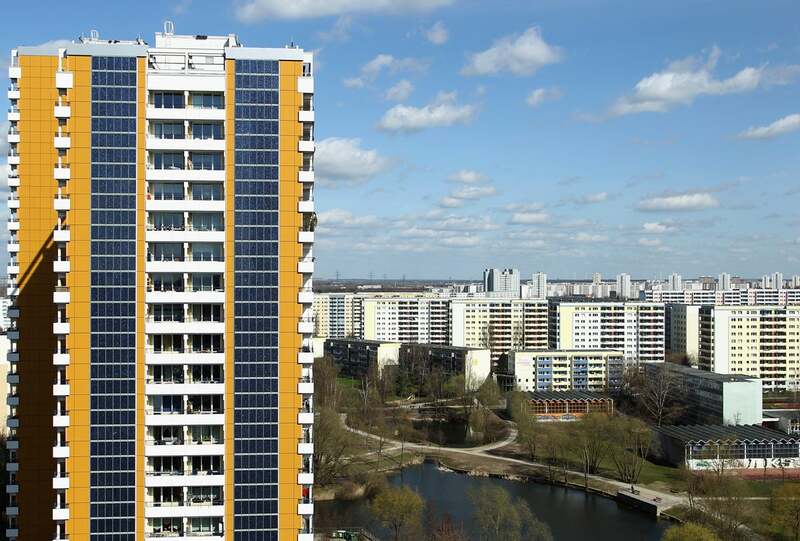 2010: Solar cells cover the facade of a 230-foot-tall apartment house in Berlin, Germany. 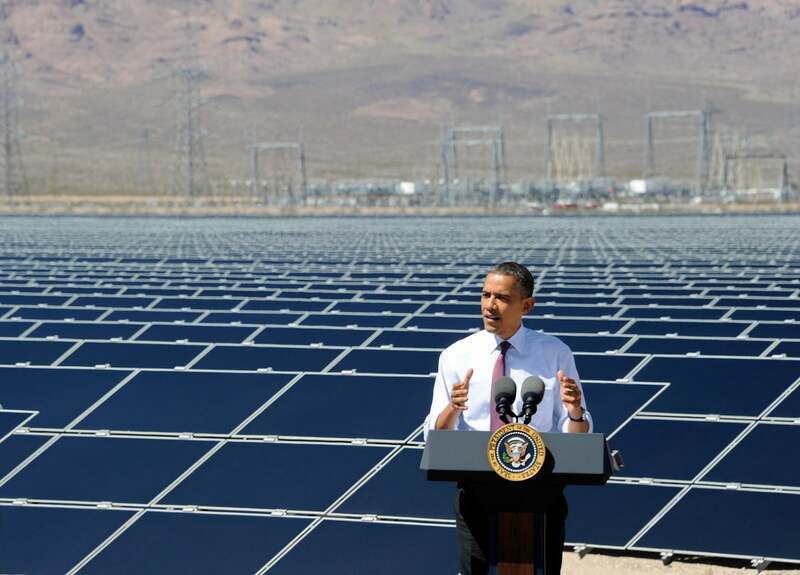 Barack Obama speaks at Sempra U.S. Gas & Power’s Copper Mountain Solar 1 facility, the largest photovoltaic solar plant in the United States, on March 21, 2012, in Boulder City, Nevada. 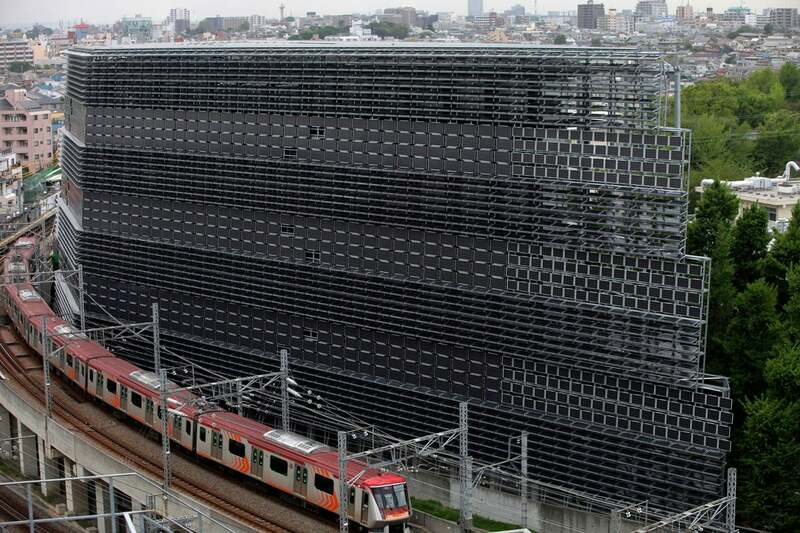 2012: The new building of the Tokyo Institute of Technologies is covered by 4,500 solar panels. 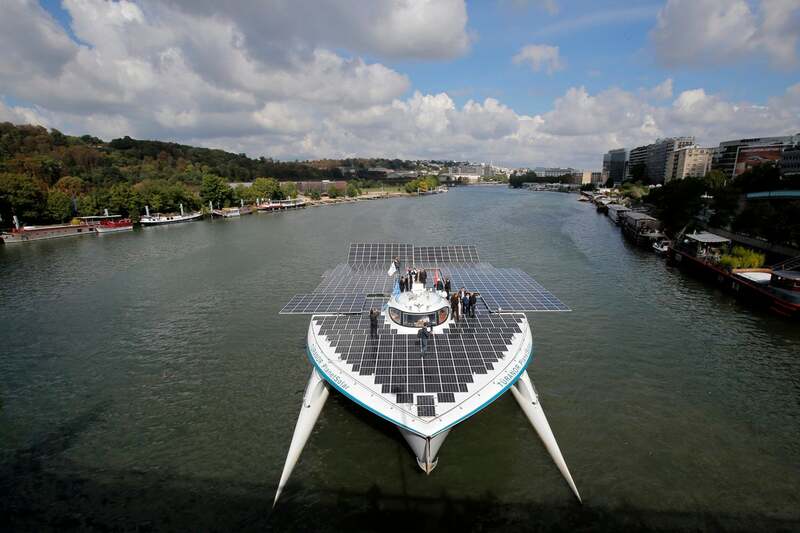 The Turanor PlanetSolar, the world’s largest solar boat, on the Seine river outside Paris, 2013. 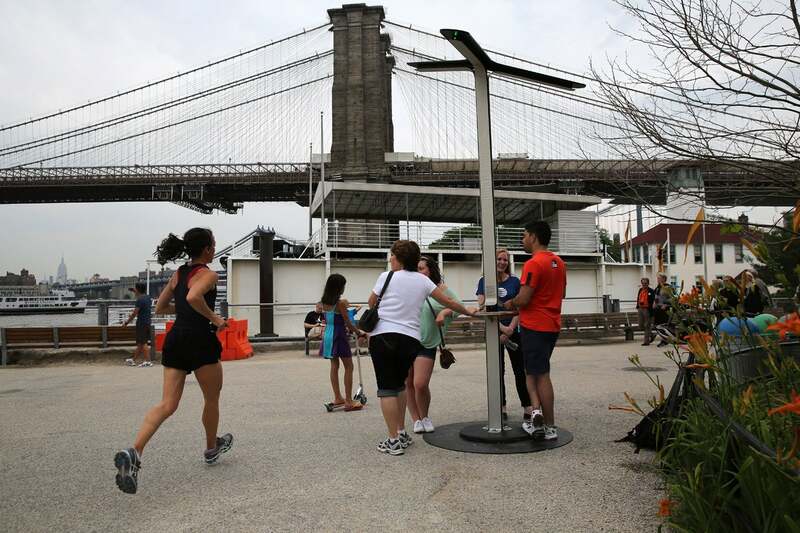 People charge their cell phones at a free solar-powered charging station set up by AT&T at Brooklyn Bridge Park on June 18, 2013.